It is great news today that the Shadow Chancellor, John McDonnell, commits that the Labour Party will aim to double to the size of the UK co-operative sector if in power, as a way to boost the economy. His suggests mechanisms for supporting the growth of the co-operative sector chime with a number of our policy proposals, including legislation for ‘mutual guarantee societies’ which will enable small businesses to pool resources in order to access much-needed finance and support for self-employed workers to form co-operatives, both of which are recommendations from our latest report on freelancer co-ops that picked up significant media coverage. I will blog soon on mutual guarantee societies to say more of our work on this innovation for enterprise finance. The Shadow Chancellor also cites the limited resources allocated to co-operatives in central government, which points to our case for consolidating responsibility for co-ops in the department for business. And he commits to reversing the cuts in support for community energy ventures. This is the most far-sighted speech from a front rank UK politician since January 2012, the start of the United Nations International Year of Co-operatives – and the speaker in question then was… David Cameron. Howard Roizen is a successful entrepreneur, confident and accomplished. When his story is studied in Business Schools, students that are given him to assess rate him highly. But the truth is that he doesn’t exist. ‘He’ is Heidi, a real life case study written up by Kathleen McGinn of Harvard Business School. When students are given her story, identical in every other respect, what they perceive is a degree of arrogance and self-promotion. The reason, explains economist Iris Bohnet in her book, What Works: gender equality by design, is unconscious bias. 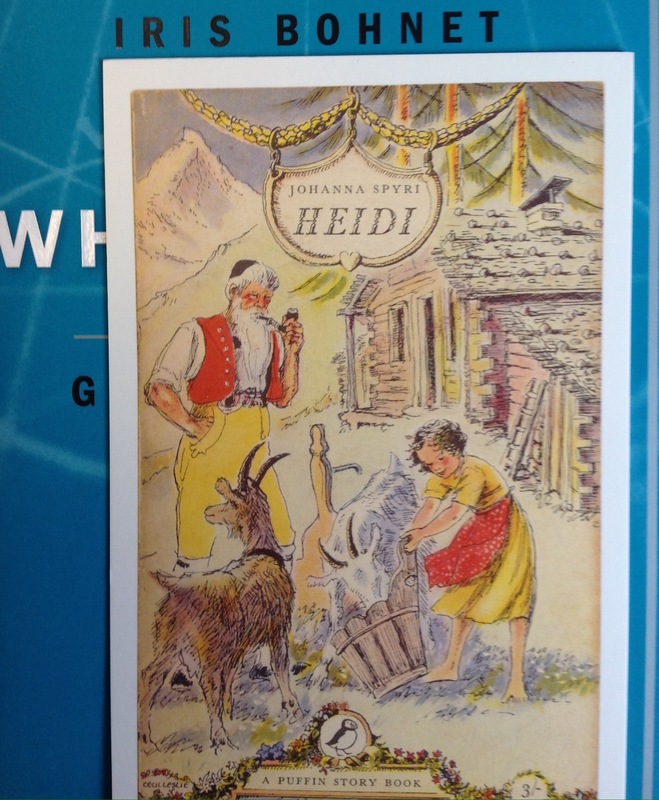 The stereotype for Heidi is closer to the traditional fables of women and it is this stereotype that frames people’s response. The same unconscious bias can hold back and exclude men from caring roles, she adds. US companies spend $8 billion every year on diversity training, she estimates, and yet little if any of this is proven to change attitudes or outcomes. What is needed instead are tools and techniques to remove bias in a systematic way. It is not enough to believe in equality. In our unconscious, we inevitably draw on stereotypes, shortcuts, that we have drawn from the culture and tradition around us. Changing those is possible over time, where there are new role models and new rules set, but in the meantime, to act on equality – for gender, race or other difference – means finding intelligent ways to bypass our unconscious bias. The new tax year is starting and will see record numbers of people over the next twelve months filing returns as self‑employed workers. Our new report, Not Alone by Alex Bird, Pat Conaty and Philip Ross tracks current levels of self-employment and the ways in which co-ops can help freelancers meet shared needs. 4.6 million people are now self-employed – the highest numbers in the UK since record began – and the numbers are likely to rise further, not least because it is an option that appeals to many people. One in four people (27%) of employees in medium-sized firms in research for the report say they would rather be self-employed. In response, freelancers are starting to club together to form co-ops where they are better placed acting together rather than operating alone. An example is RICOL. The service for interpreters in London was shaken up when the Government in 2011 moved from a national register of public service interpreters to a contract for all of England and Wales from a single provider, won by Applied Language Solutions, owned by Capita. To deliver on the contract, the firm then offered court interpreters work at what was in effect between 25% and 40% of the established rate. There was a mass refusal to sign up and a protest group was launched, Interpreters for Justice. Many new interpreters hired by ALS were poorly qualified. Severe delays and chaos in the courts were widely reported in the press. With help from Co-operatives UK, RICOL was established in November 2012 as a London-based interpreters and translators co-operative. They are now generating new work and contracts with law firms, commercial companies, human rights organisations and media companies. It is early days for co-ops like these in the UK, but there are inspiring examples from overseas to learn from, such as the Self Employed Women’s Association in India, a trade union and co-operative network giving voice and opportunity to 1.7 million members. Self-employment means that you take on the risks and the opportunities that the economy affords you. By coming together in co-ops, freelancers can share the risks and pool the opportunities. You are on your own, but not alone.